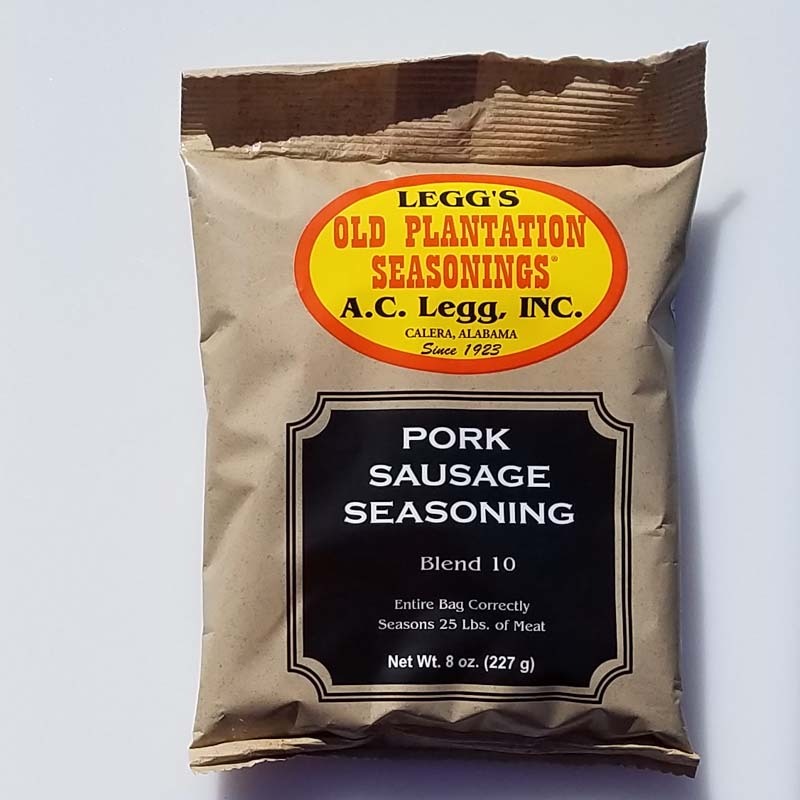 This blend is used to produce pork sausage for those customers that like some extra heat in their sausage. This seasoning contains both ground red pepper and crushed red pepper. 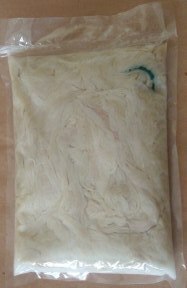 Stuff in sheep casings for piggie links, use 32-35mm hog casings for the big links or rope sausage, or pack in bulk bags for patties, pan sausage, etc. 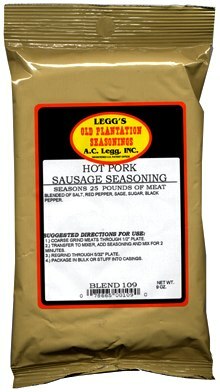 One 9 ounce bag seasons 25 pounds of sausage. Blended of Salt, Red Pepper, Sage, Sugar, Black Pepper. All natural spices. Contains no MSG, wheat or dairy products.